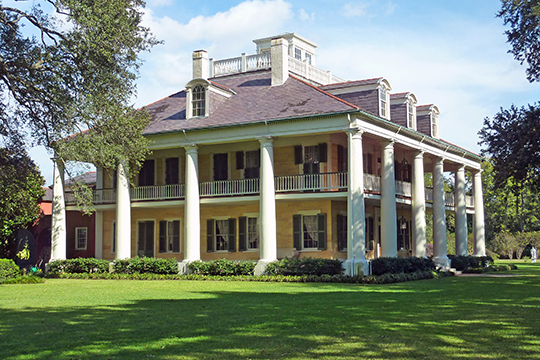 Photo: The Houmas Plantation House (Burnside Plantation, date unknown) Highways 22 and 44, Burnside, LA. Listed on the National Register of Historic Places in 1980. Photographed by User:Frank Kovalchek (own work), 2010, [cc-by-2.0 (creativecommons.org/licenses/by/2.0)], via Wikimedia Commons, accessed January, 2014. Parish administrative offices are located at 208 East Railroad Street, Gonzales, LA 70737; phone: 225-450-1012. The Louisiana Purchase was subdivided into territories in 1804. Ascension Parish was on of 19 parishes created in 1807 from the Acadia Territory.